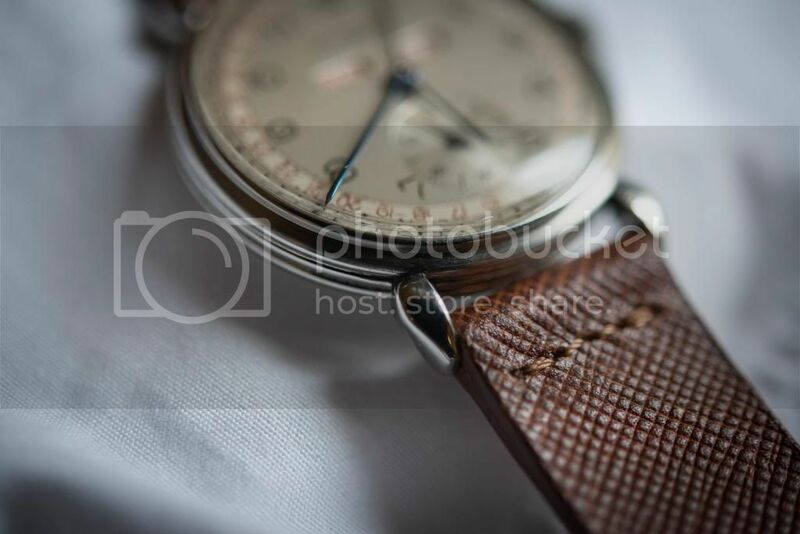 Just this week in Geneva I picked up my first Vacheron. And to me, I don't think there one cooler out there. 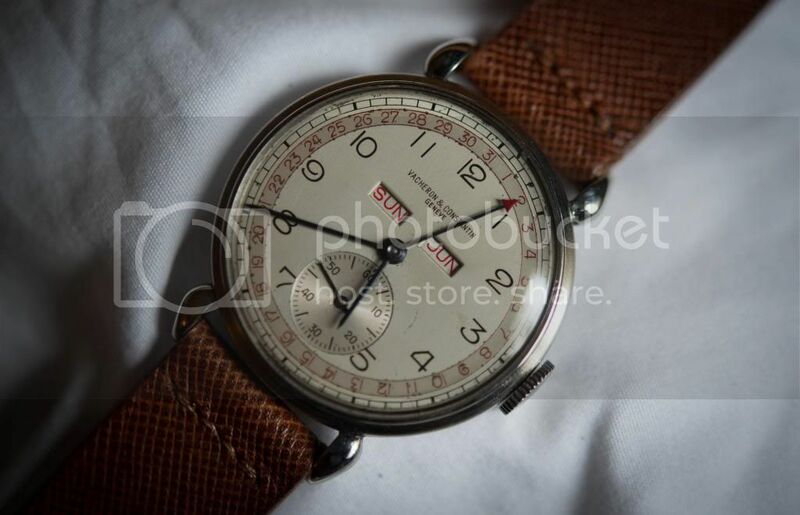 This watch dates to 1945 and is a reference 4241 triple calendar. But, the best part about it is it's in stainless steel!! 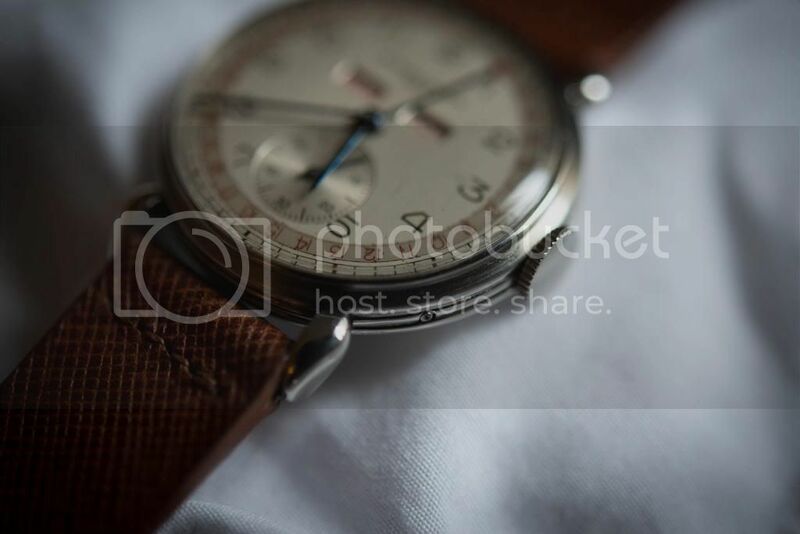 The 4241 is the classic VC triple date, without moonphase, and is a nice 35.5mm in diameter. When I saw this example in steel appear at auction I knew I had to give it a run, and thankfully it all worked out because it is on my wrist as I write this message from a hotel room in Bologna. 4241's, like most vintage VC's, were primarily buit in precious metals. Steel examples are incredibly scarce. The watch is just gorgeous, with blue steel hands and red accents. The steps of the case-side plus those gorgeous trademark lugs really give this thing an stunning profile. Now the dial isn't perfect, but it is completely original, and i'm A-OK with that. 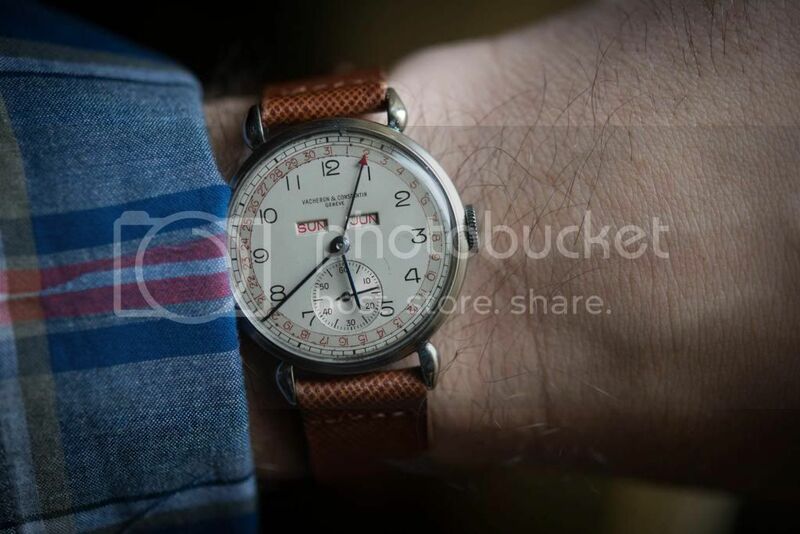 This watch is almost 70 years old, after all. Having been traveling I haven't had time to open up the caseback just yet, but I'll do that as soon as I get home. 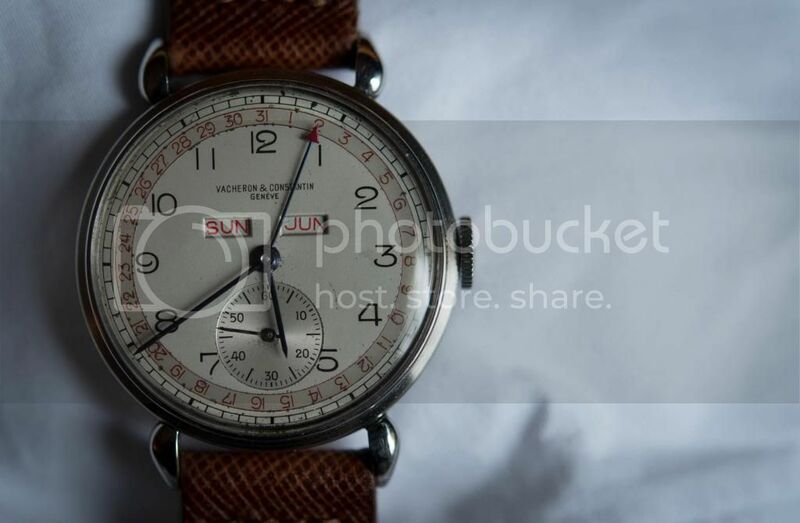 I am going to have it serviced (it's running a little slow) and hope to acquire a stainless steel Vacheron tang buckle for it too. In the mean time, enjoy the pics and I couldnt be happier with my new (old!) 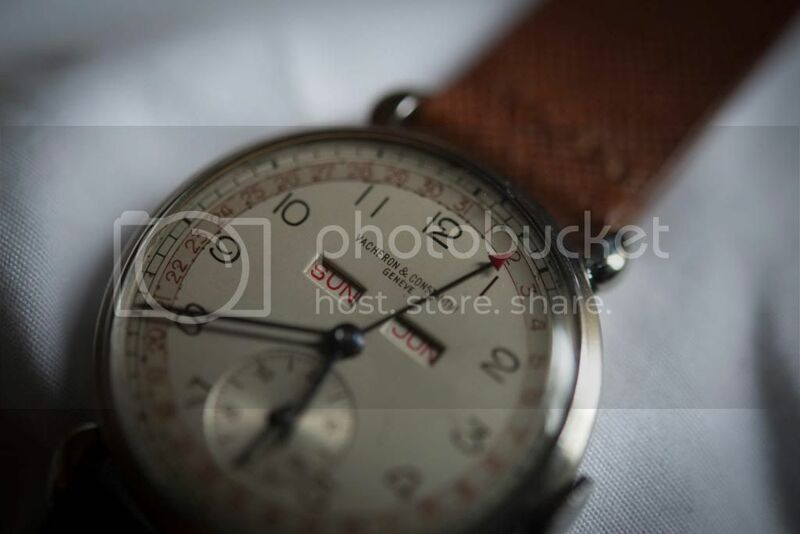 Vacheron Constantin!